Earlier in my life journey I spent a few years in pastoral ministry. I served in a rural community with many aging citizens. I found myself performing an unexpected number of funerals which led to my befriending the local funeral director. As a result, I found myself doing even more funerals as my friend would often call me when the deceased or the deceased’s family had no connection with a local pastor or church. After several chapters in which the Chronicler shares a rather expansive story of King Jehoshaphat, today’s chapter succinctly describes the brief reign of Jehoshaphat’s son, Jehoram. It was eight years of division and chaos rooted in Jehoshaphat’s ill-fated decision to make a marriage alliance with the evil King Ahab of Israel which set off a chain-reaction of tragedy. Jehoram married a daughter of Ahab and Jezebel. By the Chronicler’s account, Jehoram was sucked into the dysfunctional family and religious system of his in-laws. This couldn’t have made him popular with his brothers who had been given some regional authority by their father (which made them potential rivals to Jehoram). Jehoram kills off all of his brothers to solidify his hold on the throne. Neighboring enemies, observing the internal political chaos, choose to attack Judah and take advantage of this moment of weakness. It works. Jehoram’s reign ends after eight short, bloody years marked by internal strife, fraternal murder, and failure in almost every respect. What a sobering reality to mull over in my hotel room this morning. What kind of epitaph have I been writing over my life journey? What adjectives have attached themselves to my legacy? Love? Anger? Kindness? Pride? Faithfulness? Selfishness? Generosity? Greed? Failure? Redemption? In the quiet I’m thinking about the opportunity I have this day and every day, in every relationship, in every interaction to make a positive difference. Even a life journey littered with tragic failure can chart a new waypoint each day. It’s never too late. That’s what the word “repentance” literally means: to turn and move in the opposite direction. In my experience, positive life change rarely happens in a moment. Rather, it begins with one willful decision to make a change of direction. 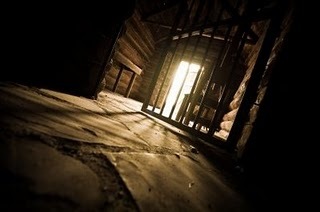 I’m thinking about some of those individuals from years ago with whom I only became acquainted as a body in a casket. What would have been different had I known them, had a chance to interact with them before their journeys end? I don’t know. But it’s not too late for the people with whom I will interact today. The ruined walls of the old city of Beth Shan sit high on a bluff overlooking the ruins of the more modern Roman city that emerged there. 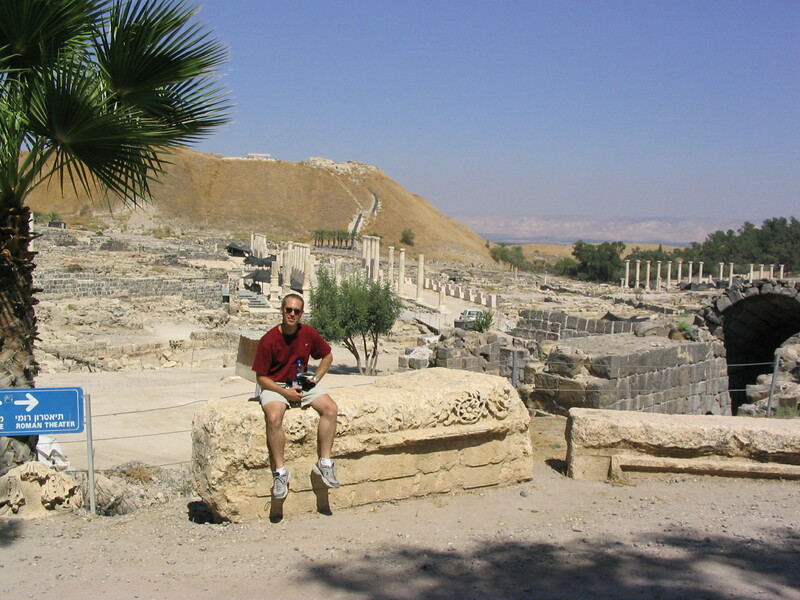 I had a chance to visit the ruins of Beth Shan while on a trip to Israel ten years ago. In the picture above you can see the Roman city ruins immediately behind me, the old ruins atop the bluff behind me, and the Sea of Galilee in the distance behind. On the very full itinerary of our trip there were many sites that would make most people’s top 10 list of places to see in the Holy Land. Beth Shan was not one of them. It is an asterisk on the list. It appeared in my travels that few people visit, and fewer still are likely know the reason of its’ footnote in history. We have spent much of the past 31 chapters learning Saul’s story. It started out so promising. The first king of Israel. The tall, good looking warrior of whom the women sang of his victories. The end of the story, however, ends in stark contrast. Saul the troubled soul, the crazymaker with an unhealthy fixation on hunting down David, takes his own life in humiliating defeat. His body is decapitated an nailed to the walls of a backwater Philistine town most people today whiz by on their way between the Sea of Galilee and Jerusalem without giving it or Saul a passing thought. Today I’m contemplating Saul and am reminded of the adage: “it is not how you start but how you finish.” Will my love and impact on others’ lives become an important theme in the journal of their own respective life journies, or will our death simply become a forgotten footnote at the bottom of a page? Saul’s death stands as a sad reminder of the tragic ends of a self-centered and envious existence. Last week I quietly celebrated my 16,000th birthday. I was 16,000 days old last Thursday. That's a lot of days. I've been contemplating what I have to show for them. When I get to heaven and all that is worthless is burned away, how many days will be revealed to have made any difference? How sad that God delivered the children of Israel to live in peace, but it didn't make any difference. Their days were spent in peace, but there hearts remained stagnant. I want my days to make a difference. I may never be a difference maker on a grand scale like Superman, which is okay. I don't think I'd do well in a cape, and would look especially bad in tights. I pray that I can at least make a difference like George Bailey. Perhaps I can quietly make a subtle difference in those my life touches day-by-day.